The new hyper-reality experience, Star Wars: Secrets of the Empire opens at Downtown Disney in Anaheim, California today, and yesterday, we were treated to a preview. The experience from The Void debuted at Disney Springs at Walt Disney World Resort in Orlando on December 16. Tickets for Star Wars: Secrets of the Empire can be purchased now at TheVoid.com. Check out what we learned about the ILMxLAB and The Void experience below. You can also watch the trailer in the player below and see some pics in our gallery. For Secrets of the Empire, you go in to the experience in groups of four. One of us (me) was asked about the level of our Force powers. I said they were high, of course. I got to use Force Push to open the door (or maybe it was a remote control). When you enter, you’re suited up in a helmet and a very heavy vest. You walk in with the visor raised and you get a briefing from Cassian Andor (Diego Luna) as this mission takes place around the events of Rogue One: A Star Wars Story. Your mission is to go undercover as stormtroopers and learn the contents of a container that’s important to the Rebellion. Next, you’re taken into a room and told to put down your visors. Immediately, you see your companions as stormtroopers and yourself as well. (Look at your hands.) You enter a ship, and you’re transported to a certain planet that fans will recognize from the end of the prequels. It’s hot, and you’ll actually feel the heat and smell the lava. You have to take down real stormtroopers and creatures as you walk around trying to find the container. I won’t spoil anything else for you, but I can give you some more info about how it all works. There is no running or jumping here. You’re walking around and shooting. You do get real blasters, which is pretty fabulous, and you can feel it when you get hit. You’ll find yourself wanting to reach out and touch K2S-0, which you can actually do. The whole experience takes place in a specific room because the walls of the environment and the things you encounter there are physical objects, adding to the reality of it all. It’s not something you can do at home. You’ll find yourself hesitating to cross shaky walkways and worrying about falling off heights when you’re in the Empire stronghold, even though you know you’re on solid ground. 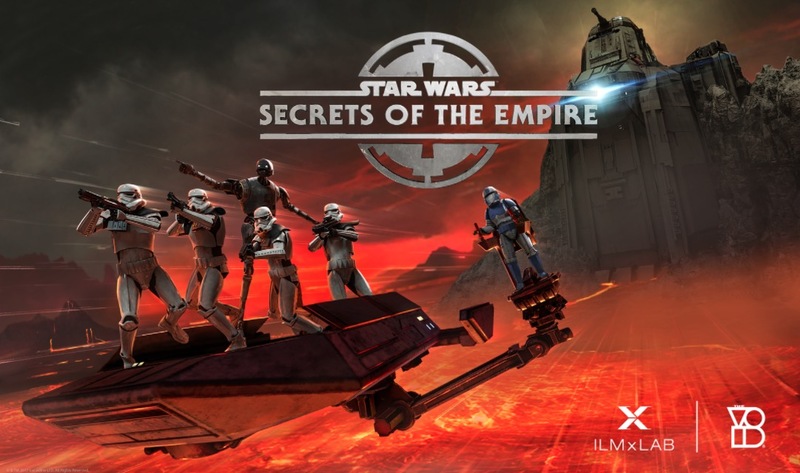 For those of you who often get dizzy when trying virtual reality games, you’ll likely do well with Secrets of the Empire. I get that and I wasn’t affected at all. One of my teammates was wearing glasses, and the helmet worked just fine with them on. Having done quite a number of virtual reality experiences before, I can tell you that this is the most immersed I’ve ever been. Having the physical things to reach out and touch made a huge difference. I won’t say what happens later, but I will tell you that it will be childhood wish fulfillment for anyone who is a Star Wars fan. 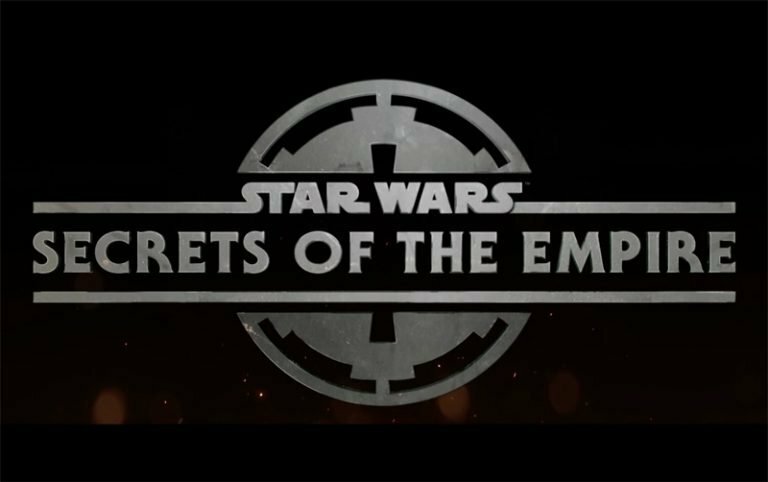 You can check out the trailer for Star Wars: Secrets of the Empire below to get more of a sense of what you’re going to see. Tickets are on sale, but they’re selling out fast, so if you’re planning a trip to Disneyland in Anaheim, CA, it’s worth booking very early. Are you guys excited for Star Wars: Secrets of the Empire? Let us know in the comments.